Application today online! It's easy! Processors and Licensed Loan Officers Wanted! At OpenGate Lending, we believe in respecting our customers privacy and those whom wish to visit and use our website. We want you to know how we collect your information and how we will use it. On our website we may request information from you so the information you provide can help us determine which type of financial products are best for you. We do not share your personal information with outside companies for their promotional use. OpenGate Lending may use the information you provide us to supply our service providers, such as title, escrow, appraisers, credit reporting agencies, and others who will be assisting us in the qualifying, processing, closing and servicing your loan. Please note that credit reporting agencies may share your information with other companies when you apply for a loan/mortgage. This is why some consumers may report receiving emails or phone calls soliciting your business without your request. They may be offering credit cards, mortgage, and other various financial products. WWW.OPTOUTPRESCREEN.COM offers a great resource for consumers who wish to stop they calls and emails from being sent to them by opting out of these credit offers; visit their website or call them toll free at (888) 567-8688. When you submit a loan application or want us to pre-qualify you, you give us permission and authorize OpenGate Lending to share your credit report and information with our affiliates that work with us in processing your loan application. If you are receiving our newsletter or emails and would like to opt-out please email OpenGate Lending at info@opengatelending.com, include in the title of your email "remove me from your email list" or call directly at (800) 248-1176. OpenGate Lending will always cooperate with law enforcement and various government agencies; which may mean we will disclose certain information to comply with a legal process including a court order, subpoena, and search warrant. The secure server layer (SSL) encrypts (scrambles) all of the information you enter before it is transmitted over the internet and sent to us. Furthermore, all of the customer data we collect is protected against unauthorized access. OpenGate Lending uses software technology called clear gifs (also known as web beacon, web bugs, etc) that are designed to help us better manage the content of our website and what content is more effect than others. Gifs are very similar to cookies and they are graphics smaller typically than the size of a period at the end of a sentence. We do not use Gifs to track or gather your personal identifiable information. INFORMATION OPENGATE LENDING COLLECTS & DISCLOSES TO OUTSIDE PARTIES. OpenGate Lending does not sell, trade, or rent your personal information to others. OpenGate Lending may provide aggregate statistics about our customers, sales, traffic patterns, and related site information to reputable third-party vendors, but these statistics will not include personally identifying information. OpenGate Lending may release account information when we believe, in good faith, that such release is reasonably necessary to (i) comply with law, (ii) enforce or apply the terms of any of our user agreements or (iii) protect the rights, property or safety of OpenGate Lending, our users/customers, or others. When you use the messaging feature on our website or social media pages, that information will be displayed publicly to other users and members based on your choice of privacy settings. Be careful when you do this; public information can lead to you receiving unsolicited messages from other parties in return. OpenGate Lending is committed to protecting your privacy. We use the information we collect on the site to make using OpenGate Lending as simple as possible and to enhance your overall experience. We do not sell, trade, or rent your personal information to others. OpenGate Lending may also provide links to affiliated sites. The privacy policies of these linked sites are the responsibility of the linked site and OpenGate Lending has no control or influence over their policies. Please check the policies of each site you visit for specific information. OpenGate Lending cannot be held liable for damage or misdoings of other sites linked or otherwise. Average consumer, second quarter 2013, saved $601 a month on their mortgage by refinancing with OpenGate Lending ($7,218 annually). 30-Year Fixed-Rate Mortgage & 20-Year Fixed Rate Mortgage: Loan amount $300,000 30-year Fixed-Rate Loan at 3.75% and 70% loan-to-value (LTV) with up to 3 points due at closing. The Annual Percentage Rate (APR) is 4.031%*. Payment does not include taxes and insurance premiums. Processing & underwriting fees up to $1,645.00. The actual payment amount will be greater. Some state and county maximum loan amount restrictions may apply. 15-Year Fixed-Rate Mortgage & 10-Year Fixed Rate Mortgage: Loan amount $300,000 15-year Fixed-Rate Loan at 2.75% and 70% loan-to-value (LTV) with up to 3 points due at closing. The Annual Percentage Rate (APR) is 3.191%*. Payment does not include taxes and insurance premiums. Processing & underwriting fees up to $1,645.00. The actual payment amount will be greater. Some state and county maximum loan amount restrictions may apply. Please keep in mind mortgage rates can change daily. Actual payments shown vary based on individuals financial situation, credit score, current rate, etc., to name a few. 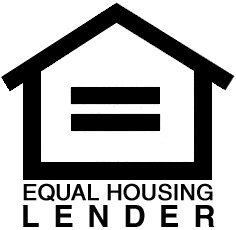 Some mortgage products provided by OpenGate Lending may not be available in all states. Some jumbo mortgage products may not be available to all buyers including first time home buyers. OpenGate Lending services not available in all states/areas. Rates assume the purchase or refinance of a primary residence only with no cash out at closing of the loan. Rates assume loan to value rate (LTV) is 70%, If LTV is greater than 80%, PMI (private mortgage insurance) will be added to your monthly mortgage payment, unless with the exception of a Military/VA loan product. Military/VA loans do not require PMI. Rates assume a credit rating/score of 740 and above, that closing costs are paid out of pocket (unless noted otherwise), this loan would be for your primary residence, a single family residence, DTI (debt-to-income) ratio less than 30% and that an escrow account is used for payment of taxes and insurance. Jumbo loan products assume a credit rating/score over 740. OpenGate Lending does not have all your information necessary such as payment history, credit rating/score, home appraisal, etc. to give you the most accurate mortgage payment; so rates and payment results may vary from the actual calculation shown. Once your personal information has been collected, credit report processed, documentation received as necessary and required by lender for the specific loan, and a rate can be quoted - it may be locked for a period of 45 days. TV and Radio Disclaimer: To be eligible for this promotion a bonafide Good Faith Estimate (GFE) and Rate Lock confirmation dated the same day must be received within 24 hours after OpenGate Lendings’ tentative approval of initial application. Testimonials advertised & recorded are from paid actors, the testimonials where taken from the written testimonials our customers posted on trustlink.org based on the service they received from OpenGate Lending. The quoted offer will be defined as the total estimated settlement costs on the Good Faith Estimate. Subordinating and existing lien may result in fees charged the applicant, and will not be refunded by the lender. Home Owners Association certification fees may be charged when the subject property is a Condominium or PUD, and will not be refunded by the lender. Vesting changes may result in additional fees, and will not be refunded by the lender. Fees charged by applicant’s current lien holder will not be refunded by the lender. Consult your tax advisor for deductibility of interest and loan fees. Non-locked rate is subject to change. Rates advertised do not include amounts for taxes and insurance premiums, which will result in a higher actual monthly payment. Consolidating or refinancing debts may increase the time and/or the finance charges /total loan amount needed to repay your debt. Rate listed assumes a loan amount between $300,000 and $417,000, conforming loans only, establishing an impound/escrow account, owner occupied, single family residence, minimum 740 FICO credit score for all borrowers, no mortgage lates and 70% loan-to-value or less, debt-to-income ratios of 30% or lower, assets and reserve requirements are met. Taxes & insurance charges are not included. Loan fees are typically financed through the loan. Your APR may be higher if Mortgage Insurance is required or if an affiliated service provider is used. Applicant must meet credit and income requirements. Rates subject to change without notice. Limited Time Offer. If the application is approved for the "No Closing Cost" loan program, the appraisal fee will be refunded within 14 days after the loan funds are disbursed. If the appraisal fee increases due to a lender required re-inspection, the application is responsible for paying the additional cost. No portion of the appraisal fee or re-inspection fee will be refunded if the service has been rendered and the loan is cancelled or declined. A survey fee may be charged to the applicant if required by the lender, and will not be refunded by the lender. Consult your tax advisor for deductibility of interest and loan fees. Limited time offer. See website or call for terms and restrictions. Not all applicants will be approved. Loans made pursuant to the Department of Corporations California Finance Lenders Law license #603J903, Oregon Division of Finance and Corporate Securities ML-5174, Colorado Mortgage Company Registration. NMLS Unique Identifier # 954578, Equal Housing Lender. OpenGate Loans Inc., dba OpenGate Lending, 18008 Sky Park Circle, Suite 200, Irvine, California, 92614. OpenGate Lending is not licensed in all 50 states. Products and services offered are not available to residents of states in which OpenGate Lending is not licensed. For a complete list of state licenses, please go to www.opengatelending.com or www.nmlsconsumeraccess.org. This is OpenGate Loans "No Closing Cost" Loan. It is available to refinance transactions only. OpenGate Loans will pay all of the Borrower's closing costs except: Prepaid interest, property taxes, state mortgage taxes, lender payoff fees and any type of insurance. Rate advertised assumes loan amount between $300,00 and $417,000. No Closing Cost Loans not available for loan amount below $100,000. Advertised Rate and APR does not apply to borrowers who have refinanced within the last 6 months. Do It Right Refinance loan "Cash Refund for overpaid interest" is delivered by mail, paid via check and will be sent to borrower within 30 days from the borrower's loan closing date. "Cash Refund for overpaid interest" is limited to a flat fee of $250 for loan amounts $100,000 - $250,000. "Cash Refund for overpaid interest" is limited to a flat fee of $500 for loan amounts $250,001 - $499,999. "Cash Refund for overpaid interest" is limited to a flat fee of $800 for loan amounts $500,000 and above. Do It Right Refinance loan not available for loan amounts under $100,000. Do It Right Refinance loan only available for conventional loans; does not apply to FHA or VA loan products. Must mention to loan officer the Promo Code &/or Advertisement when calling in for the first time, in order to be eligible for "Cash Refund for overpaid interest." To be eligible for this promotion a bonafide Good Faith Estimate (GFE) and Rate Lock confirmation dated the same day must be received within 24 hours after OpenGate Lendings’ tentative approval of initial application. Conforming loans only, establishing an impound/escrow account, owner occupied, single family residence, minimum 760 FICO credit score for all borrowers, no mortgage lates and 60% loan-to-value or less, debt-to-income ratios of 30% or lower, assets and reserve requirements are met. Taxes & insurance charges are not included. Loan fees are typically financed through the loan. Your APR may be higher if Mortgage Insurance is required or if an affiliated service provider is used. Applicant must meet credit and income requirements. Rates subject to change without notice. Limited Time Offer. No portion of the appraisal fee or re-inspection fee will be refunded if the service has been rendered and the loan is cancelled or declined. A survey fee may be charged to the applicant if required by the lender, and will not be refunded by the lender. Consult your tax advisor for deductibility of interest and loan fees. Limited time offer. See website or call for terms and restrictions. Not all applicants will be approved. CA DOC License # 603J903 NMLS License # 954578 Go here for the OpenGate Loans NMLS access page.